Seeing the kind of graphics animators produce nowadays, it’s easy to see why so many people have fallen in love with digital art. With more artists hoping to become animators for big companies like Disney, Nintendo, and Ubisoft, to name a few, it seems as though the animation industry has nowhere else to go but up. Siena Heights University is unique in its coeducational structure, operated by the Adrian Dominican Sisters as a Catholic university. The aim of programs in the Digital Arts Department at Siena Heights University is to develop a professional proficiency in the latest software and technology within all students, allowing them to face real-world problems in the animation and graphic design industries. The Graphic Design program poses important questions to students, such as how to make an image effective and memorable, and how to use digital infrastructure to influence the relationship between the audience and the artist. With this program, students can expect to learn the fundamental and core concepts in 3D studio, digital concepts, drawing, history of architecture, and art history. Graphic Design students will then proceed onto classes of animation, visual communication, web design, and video production. Grand Valley State University aims to provide students with a sufficient professional education in film and video and their specified concentration to break into the industry immediately upon graduation, and start creating projects of their own. Students may choose to pursue a Bachelor of Science or a Bachelor of Arts with this program, with Computer Information Systems required for the former. Students in this program can expect to experience hands-on work with real clients outside of the classroom; impactful learning opportunities with production companies in the area; direct mentorship under professors and members of the faculty who have real and active experience in the film, video, and animation industries. At the College for Creative Studies, the Bachelor of Fine Arts in Entertainment Arts or Animation program focuses on one thing: telling stories. Students will learn that whether they are animating for digital film or video games, it is the storytelling ability that will help them the most in their careers. The College for Creative Studies prides itself on a customizable curriculum with allows the student to pick and choose the classes that they believe will most benefit them in their future careers. This college also comes equip with faculty who have direct experience in the film and gaming industry, as well as industry-grade equipment that will leave no student wanting for more functionality. Ferris State University was merged with the Kendall College of Art and Design in 2000. Students undergoing the Bachelor of Fine Arts in Digital Animation & Game Design are required to first complete the Supportive Studio courses, which include art history, figure drawing, and drawing. The core classes for the Digital Animation & Game Design program will allow students to learn how to create 3D art and models for games and film. 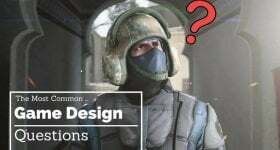 With the latest technology and software available for students on-hand, and teaching approaches that take students out of the lecture halls and into the actual experience, students will learn from professional media experts and current game designers in the field. 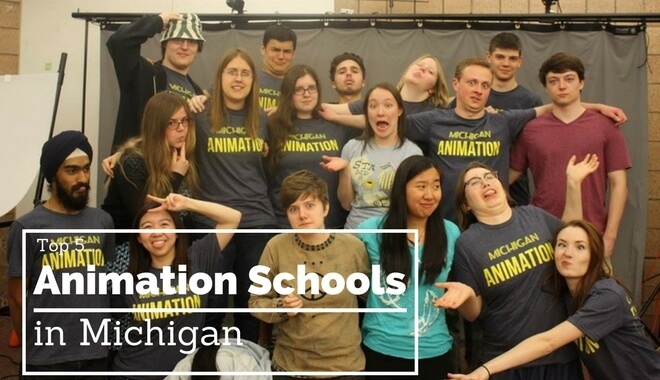 They will directly work with some of the most active and widely-known animation professionals in the Midwest. Eastern Michigan University offers students the Simulation, Animation, and Gaming Bachelor of Science program, based within their College of Technology. Unlike most art-focused programs, the SAG program consists of a multidisciplinary approach to the study, letting students develop skills in creative writing, traditional art mediums, story development, with more technical abilities such as lighting, animation, rigging, modeling, and 3D camera work. With this varied learning experience, students come out of the program having more ability and expertise in a wider array of skillsets, allowing them to be more flexible and valuable in their future careers. Students who graduate from Eastern Michigan University often find jobs quickly in their chosen fields. 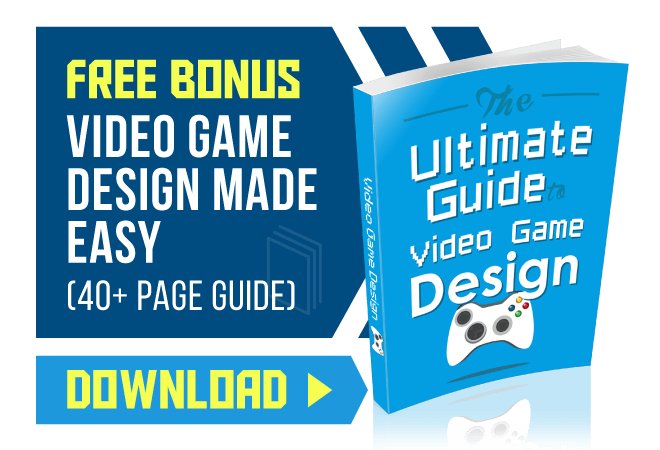 Studying something specific like game design or graphic design isn’t an easy task, especially since these are specializations that are usually hard to come by. Unlike business and the humanities, animation-related degrees are relatively new to the academia. But thanks to the schools listed above, animation lovers can now study the branch of animation they’re most interested in and learn everything they have to before joining the big leagues.